Interesting Minimum Quantity Lubrication Video! 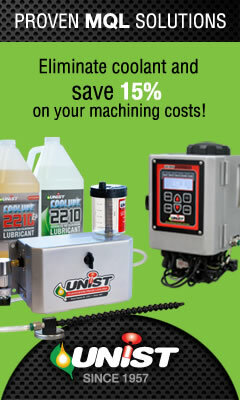 A great video outlining the basics of MQL produced by minimum quantity lubrication system manufacturer Unist, Inc. Perfect for those who are new to MQL! Useful information on the Unist website as well. This entry was posted in Uncategorized on July 9, 2013 by mqlGuru.